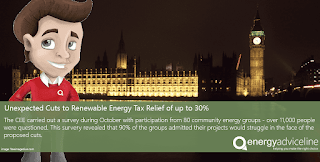 Previously, the Government announced plans to slash the tax reliefs available to community energy projects by at least 30%. The plans to cut tax reliefs for community energy schemes to build new renewable power capacity such as solar and wind. Green campaigners have warned of the adverse affects this will have on the UK's renewable sector. These changes were announced during the third reading of the finance bill last week and came about completely unexpectedly. No longer will investors in community energy projects be able to benefit from Enterprise Investment Schemes, or the Social Investment Tax Relief as well as other schemes. This in turn makes the investments less attractive due to the sudden decrease in monetary benefit.Earlier this year the Government announced subsidy cuts for domestic solar installations, also known as the feed in tariffs, by up to 87%. The CEE carried out a survey during October with participation from 80 community energy groups - over 11,000 people were questioned. This survery revealed that 90% of the groups admitted their projects would struggle in the face of the proposed cuts. It is estimated that this change in the plans will lead to the loss of 27,000 jobs, not including the 1,000 already predicted as other solar energy businesses are closing down. Solar was close to the point where it would be classed as subsidy free, and currently only adds £6 a year to a consumer's bill. Greenpeace energy campaigner Barbara Stoll accused the Government of making a "political choice, not an economic necessity". Companies currently producing solar energy have blamed the planned subsidy cuts as the reason for their closure . They have caused uncertainty, however it could end up being a short-term issue as future announcements concerning a 'reset' will help to restore investors faith in renewable power. The changes will come into force from 30 November this year. Financial secretary to the Treasury Dave Gauke has claimed that it will avoid the 'misuse' of the tax break by venture capital schemes. It was announced as part of the summer budget as the Government claimed to monitor the use of venture capital schemes by community energy to ensure that the schemes have not been abused, and ensuring they provide value for the tax payer. As the energy sector continues to be brought into the limelight it serves as a reminder that it is just as important as ever to keep on top of your energy spend, and make sure your home and your business is continuing to be as energy efficient as possible. You'll thank yourself when the next bill arrives on your doorstep. Always compare energy with an impartial expert, such as the Energy Advice Line, to make sure that the advice you are given is truly unbiased and completely reliable. Find out more at energyadviceline.org.uk. The research revealed that despite more than 80% of restaurateurs saying they considered sustainability when making business decisions, 75% said they do not have the tools and knowledge to make changes. Energy costs make up almost a quarter of overheads for the restaurant and catering industry, with an estimated 10% of this lost on wastage. "The findings must be a major concern for the catering industry, which is one of the most energy-intensive sectors in the UK," said Julian Morgan, managing director of the Energy Advice Line, the UK's leading price comparison and switching service for consumers. "It's estimated that reducing energy use by 25% across the industry could result in savings of £325 million - a significant amount for a sector where margins are often very tight. "We urge small and large organisations in this sector to really take control of their energy costs - by implementing a workplace energy saving plan, and by shopping aorund for the very best energy deals. "We understand that energy bills often languish in the too hard basket in the hospitality sector, but in reality this is the industry that can least afford to do that." The survey revealed that the profit margin of an average UK restaurant was approximately 8%. 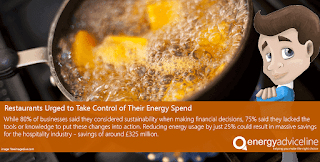 With estimated energy savings of nearly 25% achievable in most restaurants, the research showed they could boost profit margins to around 12.6%. Chefs and retaurateurs admitted to leaving on gas hobs, grills, deep fryers, heat lamps and ovens throughout service so that high quality food could be turned out quickly. The Carbon Trust estimates that the UK hopsitality sector generates the equivalent of about 8 million tonnes of carbon - greater than the entire carbon emissions of Costa Rica or Kosovo. Michelin-starred chef Glynn Purnell and E.ON have launched a campaign to help small businesses save energy and money through a special Energy Toolkit created to help firms manage their energy use and plan efficiencies. "Restaurants need to strike a balance between quality food and service and energy costs, for the sake of their bottom line and the environment," Mr Morgan said. "It sounds hard but it's not - restaurateurs need to devise an energy saving strategy and get their staff to embrace the policy. There is a range of things they can do to save money - choosing energy-saving equipment, locating fridges and freezers away from hot kitchens, and considering induction hobs instead of gas just to name a few. "But switching suppliers is the easiest way of all to cut costs. Restaurateurs are simply wasting large amount of money if they don't check the market for the best deals and switching suppliers accordingly." The Energy Advice Line is a consumer champion and an independent price comparison and switching service for householders and small and medium-sized businesses. The service enables consumers to quickly and simple compare electricity and gas prices, and to switch to the best available deal on the market. What's the deal with smart meters? According to a report by Smart Energy GB, the recent roll out of smart meters has helped around three quarters of customers understand their energy bills better. But are the meters as efficient and as useful as the energy suppliers claim they are? However, one apparent flaw to the system is it's reliance on a mobile network to transmit the data back to energy suppliers, such as the meter supplied by Ovo. Despite the UK spending £11bn on the project, paid for by customer's bills, this is still an issue that will affect a large number of consumers living in the rural areas of the country. Even in built up cities there are still black spots where signal is weaker than it would be expected to be - and surely a customer would rather have this resource used for their own personal communication, rather than having it taken up by themselves and their neighbours to transmit extra data. 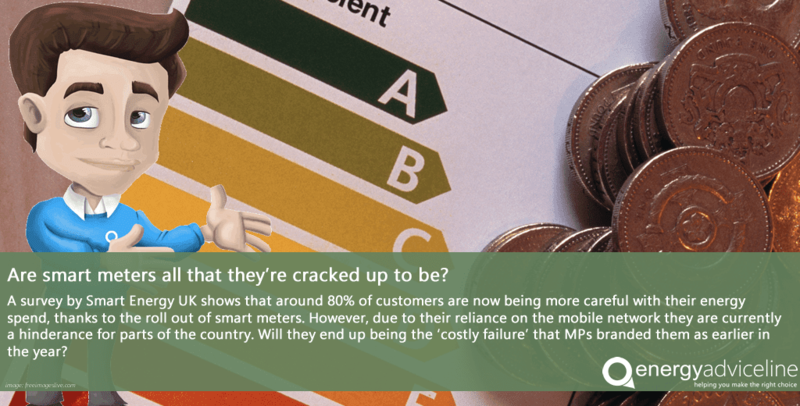 Earlier this year MPs on the energy and climate change committee warned that the government's programme regarding smart meter installation to homes by 2020 could end up as a 'costly failure' to the UK - particularly because of the meter's reliance on the mobile network, and how it is almost non-existent still in some areas of the country. 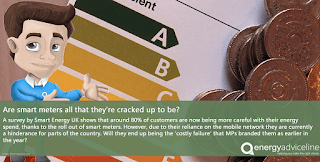 Smart Energy GB is continuing to promote their use for the domestic consumers, while insisting that a new network is being built in order to facilitate the use of smart meters in homes. "All smart meters in households across the country will run through a new, secure, dedicated national data and communications network, currently being built solely for smart meters. It is scheduled to go live in 2016 and will cover 99.25% of England, Scotland, and Wales," it says. 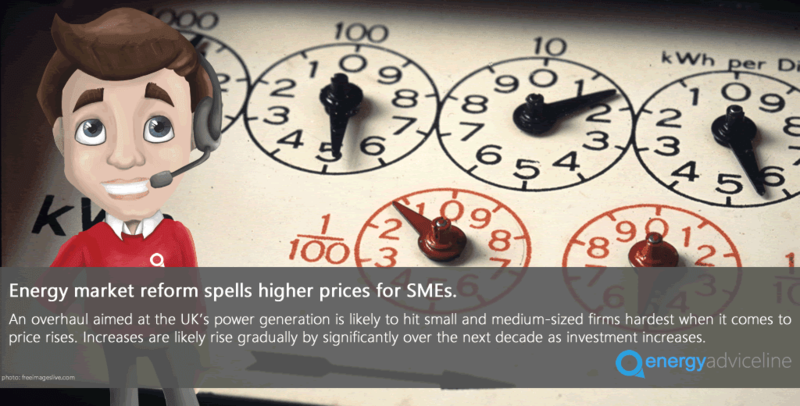 Do you have a smart meter for your home, or even your business? How has it affected you and the way your household manages their energy usage? Every household and microbusiness in Great Britain can have a smart meter installed as part of the national roll-out until 2020. 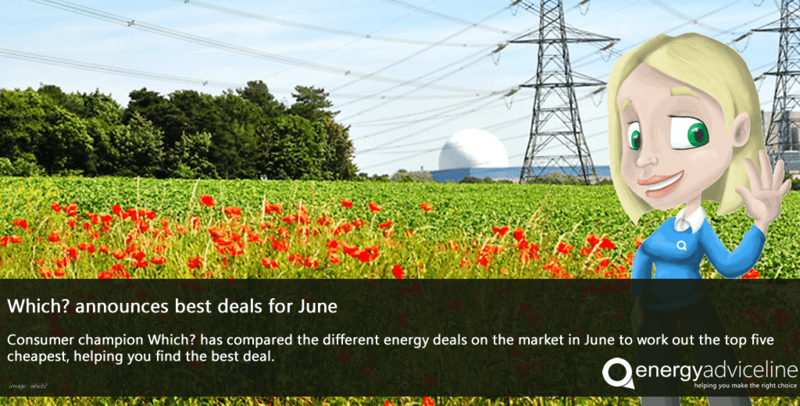 Is your energy contract up for renewal this month? Are you looking to switch supplier and save yourself a bit of money at the same time? The team at Which? have taken it upon themselves to go through some of the cheapest deals on the market so you can be sure that you're saving money. They've compared how this year's deals stack up against this time in 2016, and the good news is that they're looking, on average, £100 cheaper. Check out the full article from Which? here. Labels: energy consumers, switch energy, switch supplier, which? What is the Energy Market Reform? Mr Morgan said large intensive energy users such as those in the steel, cement and paper industries, would benefit from exemptions of between 50 and 100 percent of any energy price rise resulting from the reforms. But he said offering big businesses cheaper power meant that smaller firms not included in the exemption, and households, could be left to pick up the tab. 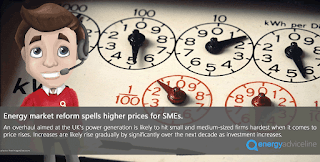 “As ever, small businesses will have to be vigilant and clever when it comes to buying their energy and controlling their usage,” Mr Morgan said. “The only way to keep bills down in this market for the foreseeable future is for firms to really take control of their energy supplies and be smart when it comes to choosing a supplier. The EMR is a package of measures designed to replace retiring nuclear and fossil-fuelled power stations that have reached the end of their working lives. New low-carbon generators are also needed to help meet Government environmental targets. To encourage investment in low-carbon generation, the government is offering "contracts–for–difference" (CfD) whereby qualifying projects are guaranteed a minimum price for their electricity. Another key mechanism will support lower carbon power generation, such as wind farms, as well as providing security for those who ‘keep the lights on’ by keeping their plants available as back-up for times when renewable sources are unavailable. The government acknowledges the measure will contribute to higher electricity prices but says the increases will be less steep than they would have been if no action were taken.